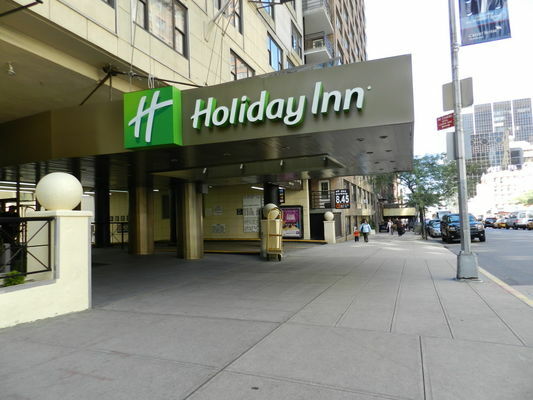 The Holiday Inn Midtown is a first class hotel, located 45 minutes to Kennedy and LaGuardia Airports. 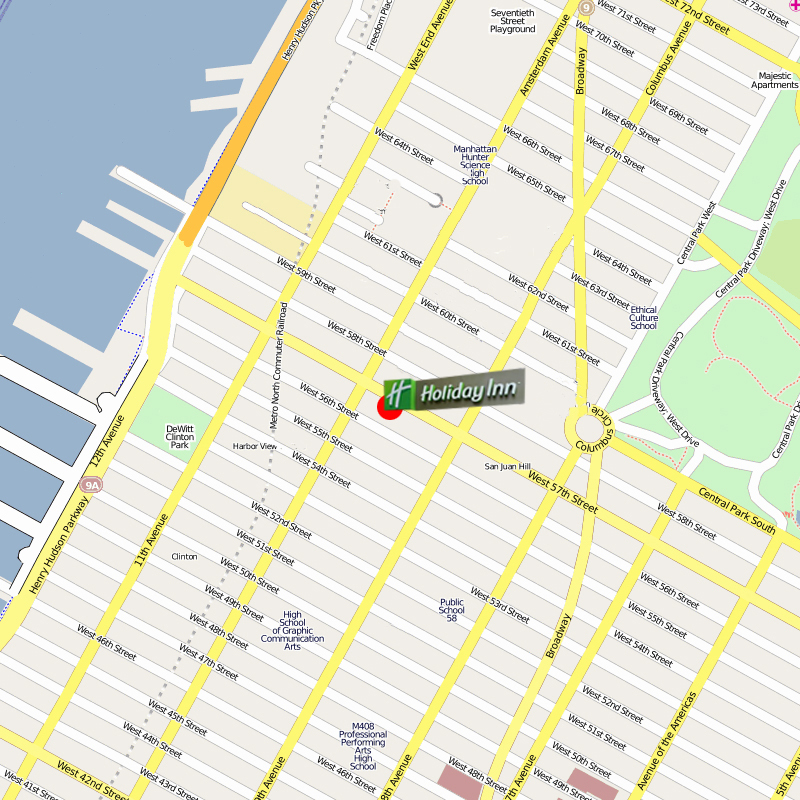 Nestled in a quiet residential neighborhood at the top edge of Hells Kitchen. 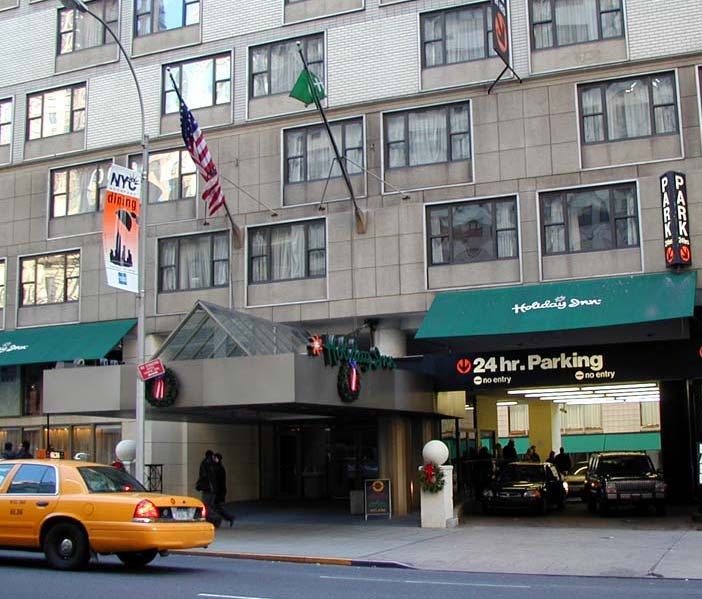 The hotel is three blocks from Central Park and Carnegie Hall with Lincoln Center nearby. The Holiday Inn follows the well known standard of the famous chain, clean, comfortable, oversized guest rooms are well appointed. The hotel features, for your dining pleasure, a full service restaurant and a cocktail lounge, ready to mix your favorite drink. The staff is friendly, helpful and well trained in order to cater to your needs. The hotel is quaint and affordable, with all the modern conveniences. The hotel is minutes to fine dining, shopping, and entertainment. Please contact the hotel directly for questions about booking guest rooms. You will however find the best hotel rates on the online hotel booking sites. Parking is available next to the hotel. Contact Icon Parking for more informations. Discount coupons are available on the Icon Parkibg website. Alliance Parking also has some parking garages in the area.